Our goal is to give you a haircut that works for your life. We can make your hair look good in the salon, but styling at home is what matters. That starts with quality cutting. Your face shape, hair goals, length, color, and texture are factors we consider. Stylists have an artistic eye and years of salon experience has taught us that often humans inaccurately perceive their appearance. Unfortunately, today we are barraged with “beauty” standards. We feel your style reflects your individuality, and your features are what make you unlike anyone else. It’s our job to offer a fresh perspective. Whether you want a trim or transformation, your style is our goal. Most stylists lack the foundation of being mentored by a master stylist who first specialized in cutting. We feel this is an important element in cutting with confidence and makes us unique as a salon collective. Our stylists are trained in advanced techniques and use principles based on anatomy and geometry. Our approach to hair cutting is led by salon owner who is a true Master Stylist. Our passion for hair cutting is inspired by Vidal Sassoon, the creator of precision hair cutting. This cutting principle incorporates foundation with artistic hair movement. The process of form and finish define our signature haircuts. We believe great hair cutting is becoming rarer, perhaps why women are investing in professional haircuts less than 20 years ago. Stylish hair will never go out of style. Hair “style’ is obtained through a haircut. Often newer salon guests will opt out of a cut after color, yet color can only be maintained on healthy hair. Split ends are porous and do not hold color because damaged hair is hollow. If you have a haircut every 6-12 weeks, depending on hair length, your hair will be in optimal health. Healthy hair is shiny and smooth which helps reflect color. Therefore, getting a haircut with us after the color pays off. Every great hair color is accented by a great haircut! We want every visit at the salon to be a positive experience for guests, haircuts are a staple service. We start with a consultation, relaxing shampoo and scalp massage. Unless requested, no one leaves with wet hair because a blow dry is necessary for dry cutting. Besides, you should look polished when you leave a salon! We offer maintenance dry cutting as an option for those trying to grow length to keep hair healthy. This alternative to a trim help stretches time between haircuts yet refreshes hair that is becoming unruly. A dry cut is just as important as a wet cut because it gives shape and can remove unwanted bulk. For information about curly hair cutting, see our page about Deva Curl. We also offer lower prices with our associate stylists. We like to show men the difference a few tricks can make in updating a style. Don’t worry, we keep it simple and user friendly. We recommend pre-booking every 3-4 weeks. Neck trims maintain cuts in between visits for $12. Enjoy a relaxing scalp massage with each visit because hair health is a priority. We know some guys fret hair loss, but our products are SLES (sodium laurel ether sulfate) free. This ingredient is a follicle inhibitor and has been linked to hair loss. We have PH balanced products that help slow the thinning process for men and women by promoting blood flow to hair follicles. This is essential for scalp health. Lumiere means “light” in French. We offer “light” cutting services with our salon interns at discounted prices. We are a leveled salon, but most of our haircuts with stylists start at $50 because most of our stylists are advanced. This is a great option if you need something lighter on your wallet. Maybe you just need a basic trim, curls refreshed or some dry cutting to remove weight, these are “lighter” cut services. You’re free to let them get creative but we are transparent about them being in the beginning of their career and some salons aren’t. 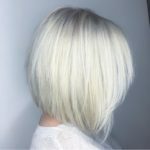 A master or senior stylist is always on hand for guidance if necessary and since they split time training and assisting, there are certain days we offer these services. Click here to learn more about our salon levels and click here for more info about our Lumiere program here and book online with one of our salon associates. Our salon offers haircuts to our smallest clients as well! We ask that a parent or guardian be with the child during the visit, so it can be a fun experience for all. For very thick or long hair rates may not apply. These prices are for our advanced or higher stylists. Lumiere kid cut’s prices with one of our salon associates start at $15. Pricing is for 12 years or younger. Good Hair Starts with a Great Cut. Whether your style is edgy, polished, classic, or glamorous, we can deliver. Studio 39 Salon owner is a Master Stylist and Cutting Specialist. 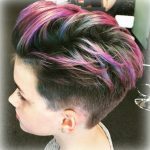 Her artistic approach combined with developed technique’s are the foundation of haircut training taught at Studio 39. Short hair is an on trend style, but can also be intimidating when seeking a change. Some stylists have a natural ability with shorter cuts. When browsing stylists, if you see “short styles” this stylist enjoys cutting shorter hair. Insider tip: All stylist’s have services they favor, these are the ones they usually develop and master. We often hear concerns about fine textured hair because many traditional cutting techniques leave fine hair with a choppy or unblended appearance. Like hair color, hair cuts should be customized. 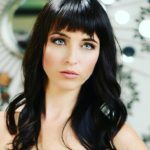 We use certain specialized techniques for fine hair and thin hair. Sit back and relax, you’ll love your hair. I like to ask, “what does the hair of your dreams look like?” because it opens candid dialogue. Knowing someone is key to personalized service, plus it’s a fun question we can all relate to! We strive for open and positive communication and ask the same of guests. If there is something you would like changed or modified, let us know so we can get you back in. Our cutting approach is the same as our color approach, we work as a team to keep guests happy. Like physicians are in the practice of effective medicine, we are in the practice of good service and appreciate the opportunity to stand by our work. Unless you’re requesting a major change, we may be conservative your first cut. 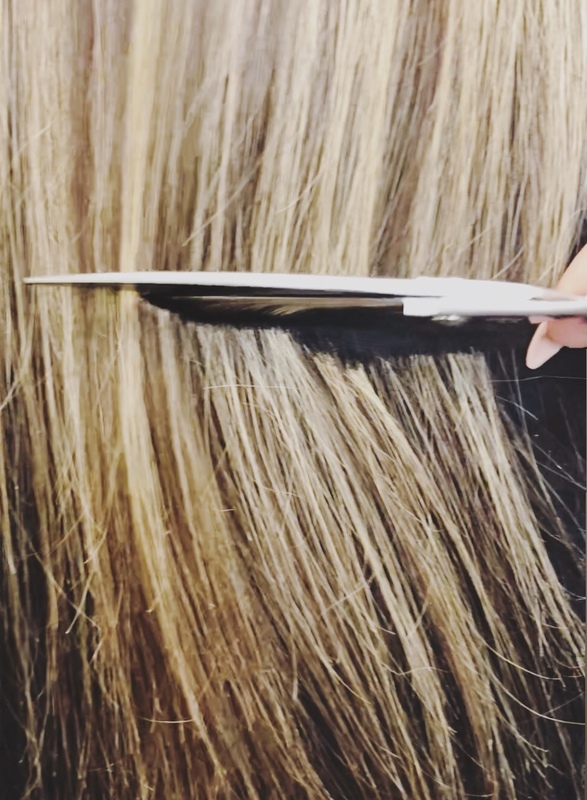 We like to get to know you and your hair and don’t want you to feel we’re “scissor happy.” If you would like something adjusted, trimmed or tweaked, just let us know. If you’d like to see another stylist, no problem. We’re professionals. We don’t take anything personal because your satisfaction is our goal. Just remember, we can’t fix what we don’t know about! Tue-Thur 10 a.m. – 8 p.m.
© 2019 Studio 39 Salon. All Rights Reserved.